How much further does Mercedes have to go until it plays at the level of Tesla’s Autopilot? If it wasn’t for Tesla and its innate Silicon Valley need to act out the meaning of the word “disrupt” throughout various aspects of the automotive world, then the Mercedes S-Class and E-Class could still be the most technologically advanced cars in the auto industry. The 2017 E-Class debuted with dual front-facing cameras that render a 3D image of the road ahead and allow it to see hazards from a distance and use its adaptive cruise control and lane keep assist at speeds up to 130 mph. Along with a host of other driver aids like Evasive Steering Assist, Active Lane Change Assist, and Remote Parking Pilot, the S-Class and E-Class were almost able to mimic an Autopilot-driven Tesla, the key word here being “almost.” However, the natural rate of technological growth as well as Mercedes’ know-how in the industry meant that Tesla's lead would not last long, and the Tri-Star’s newest rollout of Intelligent Drive features shows that it’s quickly gaining on Elon Musk. Included are upgrades to Distance Assistant, which uses more map and navigation data to predict appropriate speed, Speed Limit Assist that reads speed limit signs and adjusts speed accordingly, and Steering Assist which combines with the distance assistance to keep within the lines. In addition to these updates there is Lane Change Assist that pulls off a lane change at the press of the indicator stalk, Emergency Stop Assist, which can now brake to a standstill and unlock the doors for emergency responders to get in if it detects the driver is completely unresponsive, and Active Parking Assist that now shows the driver which entrapment scenario the system thinks the car is in to select a program best suited to pull off a particular parking maneuver that saves the day. 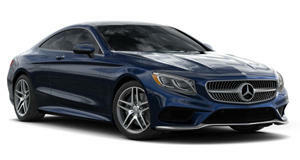 Help from improved cameras and radar systems let the S-Class see further as well, though Mercedes has a ways to go before it attains Autopilot 2.0 hardware level of proficiency. While none of these features outdo Tesla’s bold and liability-laden approach to semi-autonomy, they show what the natural rate of evolution would look like for one of the world’s largest high-end automakers that listens to its lawyers (and probably spends a bit less cash on autonomy than Tesla).